DIY Mason Jar Herb Rack! I have died and gone to mason jar heaven. It doesn’t get any cuter than this. 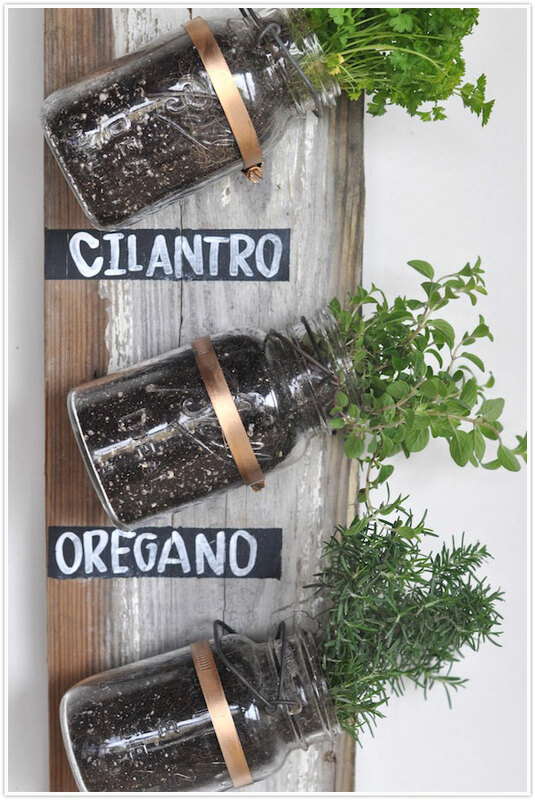 The barnwood, the chalkboard paint, the mason jars, fresh herbs… perfect! I currently am growning some basil in my windowsill but the more it grows the lighter the leaves, doesn’t seem too healthy… Any advice? Anyway, I love this herb rack and if you do too and want the step by step on this DIY check out Camille Styles.